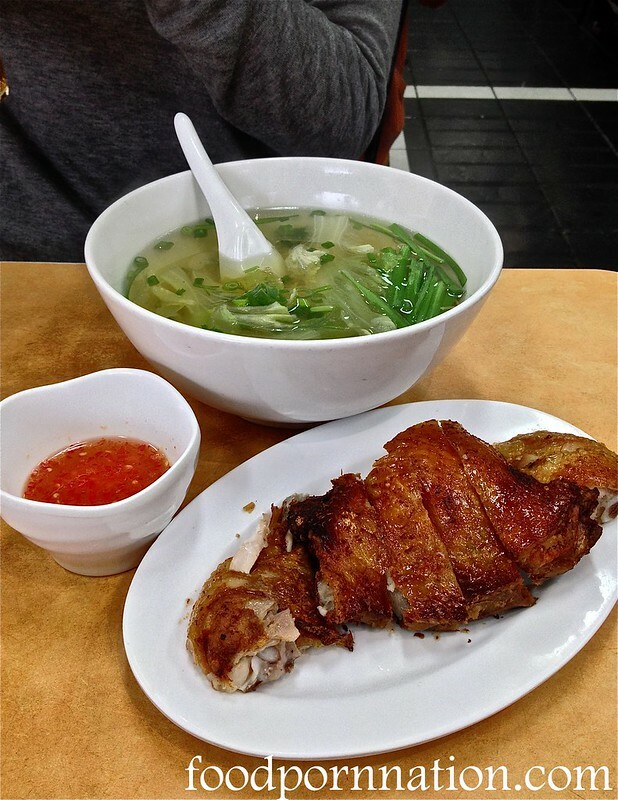 We order the crispy chicken with noodles ($12) and crispy chicken with tomato rice ($12) to share. Our dishes arrive and it’s moments like this, I hate that I blog. I can hear Julia nibbling away, “Mmmmm….”,”wow” and “mmm..” again. It’s my turn and I wonder if she’s setting me up. I take a bite and I start chiming in on this acapella too. God this is good. It’s crispy AND Mmmmmm…oist. The skin is wafer thin and brittle. The flesh is so succulent, that… wait, is that chicken juice running down my face? Oh GOD yes! Quick. Lick it. Before somebody else licks it for you. 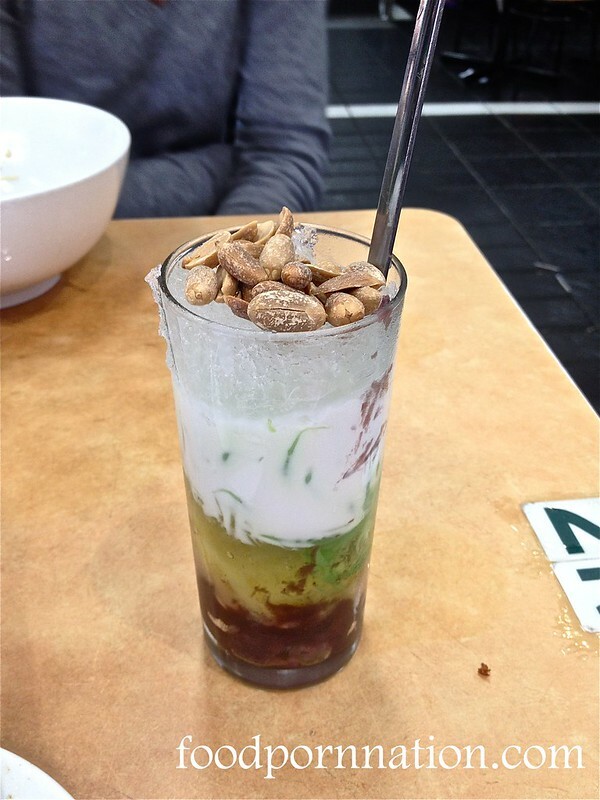 From the bottom up (dessert), there’s the red bean, beige mung beans, green strips of jelly and white coconut milk. Well… colour me happy that makes four! But this is so delicious and refreshing I’ll happily eat this rainbow. Can’t believe you were in my hood and you didn’t tell me. I would have come out to see you! So glad you like it. That skin, is my everything. aww bless that little old lady! but talking about food while queing whilst hungry = torture! BUT OMG … that crispy chicken sounds so darn good!! the juices! omg! salivating!! haha! I know she was so sweet and cute! 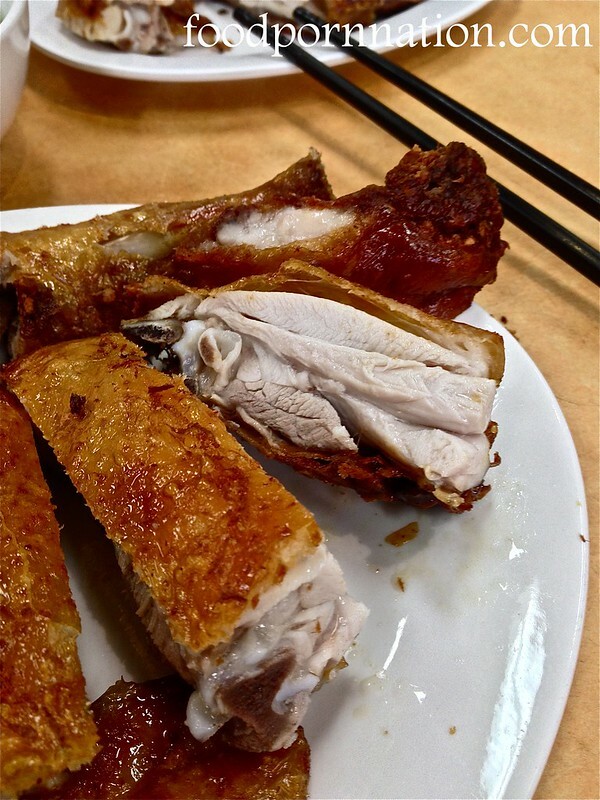 Drooling at the crispy skinned chicken – it’s been on my list to try this for a while now! Ahhh I remember my first encounter with Tan Viet, it felt like I was on a first date with a supermodel. Such satisfying chicken…. No queues when I went at about 4pm last time! I can’t believe I have yet to check out this place especially since I’m local. I’ve read so much about their famous crispy skin chicken. Its about time I go. Riley you have to go! It’s so cheap too! The skin on that crispy chicken looks amazing! And I just love tomato rice. It is sooo good and I love tomato rice too! Hilarious commentaries and awesome writing! omg love the crispy chicken here! best in sydney for sure! I know it’s crazy good! I LOVE their crispy skin chicken. it is to die for …. Tan Viet just opened a branch in Eastwood recently and a friend told me to try the crispy skin chicken. I never looked back since, it’s better than many expensive Cantonese restaurants. OMG that is way closer that Cabra!! Thanks for sharing!!! Such a revelation huh? If you come by the one in Eastwood you gotta let me know! We can go for lunch together! Oh my. That skin! 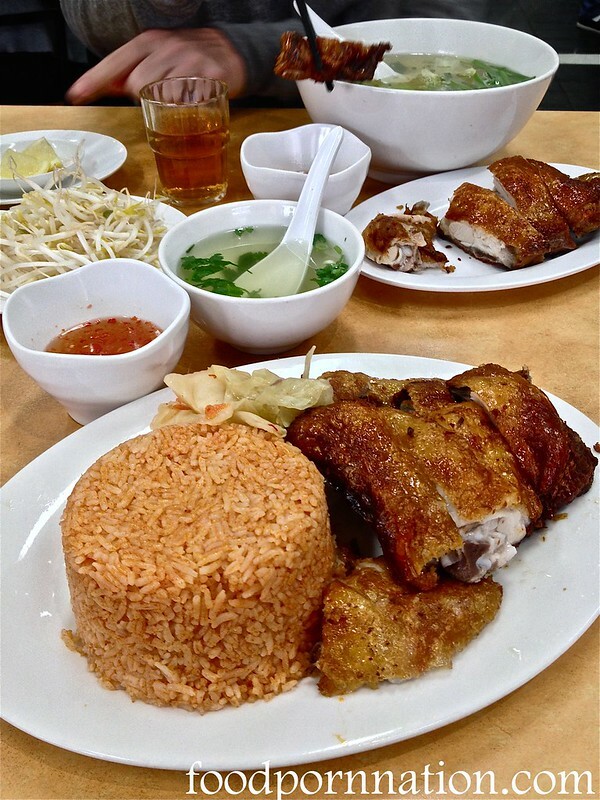 I wish I lived closer to the Sydney Asian hotspots to be able to pop down the road and get some awesome take away fro dinner. We were down there two weeks ago and went to Pho Tau Bay and walked by here…..the one was insane to get in so we deferred it for another time plus we were after a good Pho that Noodlies kindly recommended. That crispy skin does look crazy good! We were down there two weeks ago and went to Pho Tau Bay and walked by here…..the line was insane to get in so we deferred it for another time plus we were after a good Pho that Noodlies kindly recommended.